Documents obtained by the Greens under the GIPA (freedom of information) laws show the university was well aware of the activities of their honorary professor Dr Huang Jeifu in harvesting organs from executed prisoners in China, but they awarded him with an honorary doctorate anyway. NSW Greens MP David Shoebridge claims the emails show the university was more interested in protecting its business interests in China than investigating the concerns of Dr Maria Fiatarone Singh, who in 2013 called for Dr Huang to be stripped of the title. The university refused to release the emails under freedom of information law, but Mr Shoebridge had the decisions overturned through legal action. The emails show the university was bombarded with protest letters as Dr Fiatarone Singh, a professor of health science, highlighted the criticism of Falun Gong that Dr Huang oversaw the organ-transplant system in China. The University strongly resisted releasing these documents under the freedom of information application, and was only forced to do so once Greens MP David Shoebridge brought legal proceedings to force the university to disclose. Further documents released from the University Senate show that rather than focus on the serious human rights issues posed by the situation, the University Senate was instead primarily concerned about the impact on the University’s brand. This resistance to considering the moral implications of Mr Jeifu’s ongoing involvement with organ harvesting is particularly concerning given his recent statements on the matter. “It is no wonder the University fought to stop these documents being released as they paint a damning picture of an institution more focused on its brand and its finances than serious moral considerations. “The university has wilfully ignored Dr Jeifu’s history and even his current views on using executed prisoner’s organs, until pressed by external campaigns. “It is extraordinary that the medical school at Sydney University was so willing to award a doctor who has admitted to engaging in the horrific practice of transplanting the organs of executed prisoners. “Dr Jeifu has direct involvement in China’s controversial organ transplant program and has made recent public statements supporting the use of organs from executed prisoners. A simple google search would have alerted the university to this fact. 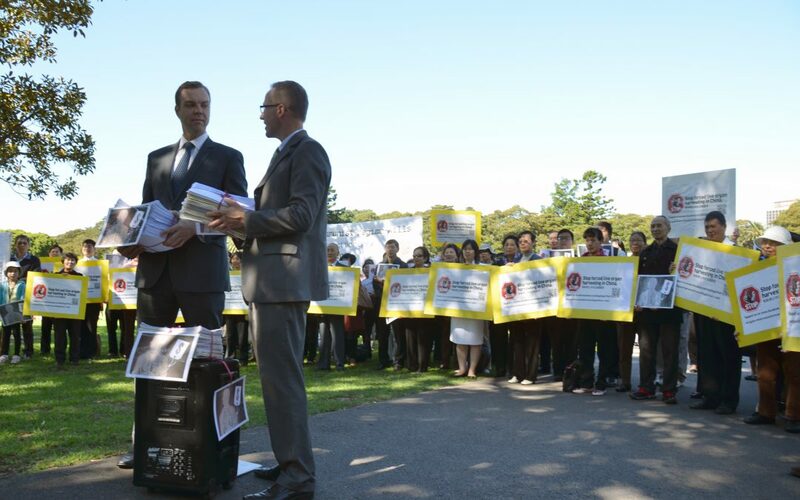 “It’s pretty clear that Sydney University places a higher value on the financial benefits of its connection with Peking University than the ethical standards of Australian universities. “There is some good news in this grubby 21st century story with the public campaign aimed at the university forcing it to finally terminate their relationship with Dr Jeifu. “Sydney University is my alma mater, and it is distressing to see the current administration so willing to trash the university’s ethical standing for short term financial and PR gains,” Mr Shoebridge said. Complete documents released are available here.